LCCC has 80+ degree programs, 34 of which have transfer agreements with partnering universities, meaning no time wasted. We also have degree options that will have you ready to jump into a career in just two years. At LCCC, 90% of students receive some form of scholarship or financial assistance. You'll love it here. LCCC's main campus is in Cheyenne, Wyoming. More than 270 students live on campus. Our buffet style dining room catered by Sodexo offers a variety of flavors to meet everyone's tastes, including healthy options. Drop by and see us. Here, you won't get just any cookie-cutter tour. Let us show you all that we have to offer. It only takes a few minutes to schedule a visit. We offer tours mornings and afternoons Monday-Friday. Ready to apply and start your journey. Applications must be submitted two weeks prior to your start date. Please allow up to three business days for processing your application. Transcripts are required: see below for details. Request transcripts immediately to avoid enrollment delay. Transcripts can be submitted via secure electronic PDF (student-recordsFREELARAMIE%29 or mail (1400 E. College Drive, Cheyenne, WY 82007). Transcripts must be sent directly from the institution or arrive in a sealed envelope to be considered official. To be admitted as a degree-seeking student, applicants are required to submit an official high school or HSEC (High School Equivalency) transcript showing successful graduation or completion. Submit official final transcripts from your high school or high school equivalency (GED, etc.). (Students who were homeschooled for high school: Submit this form along with your transcript to certify your high school completion). Request transcripts immediately to avoid enrollment delay. Allow up to 5 business days for processing of official high school transcripts, upon receipt. Transfer students who do not have a prior degree are required to submit an official high school or HSEC (High School Equivalency) transcript showing successful graduation or completion. It is also recommended that transfer students submit official transcripts from all previously attended institutions so that credits may be transferred. Students who have earned an associate or higher level degree from a regionally accredited college are not required to submit high school transcripts, but must submit an official college transcript showing completion of the degree. Allow up to 20 business days for processing of official college transcripts, upon receipt. Complete the Free Application for Federal Student Aid (FAFSA) online. Allow at least six weeks for your FAFSA to be processed. LCCC’s school code is 009259. Apply for scholarships online. To qualify for LCCC scholarships, you must have filed your FAFSA. To receive financial aid, you must be a degree-seeking student and all official transcripts must be received. Transcripts must be evaluated before aid will be awarded. myLCCC is your student portal. After your application and transcripts have been processed, your myLCCC account will be created. Click on Sign into myLCCC and follow the directions on the sign-in page to determine your student email address and first-time password. Once you are admitted, all LCCC correspondence will be sent through your official school email (which can be accessed in myLCCC). To ensure registration in the proper courses, LCCC needs to assess students' skill levels in key areas - English and math. Admission to LCCC is not based on placement - this information is just used to ensure students are taking the classes that will help them be most successful. There are various ways that we can assess students' skill levels in these areas. Orientation is mandatory for all degree- and certificate-seeking students. Sessions are available in Cheyenne, Laramie and online. For more information about orientation, including upcoming dates, visit LCCC's orientation page. If you attend an on-campus Orientation in Cheyenne or Laramie, you will meet with your advisor at your Orientation and will also register for classes at that time. If you complete online Orientation or are exempt from Orientation, you will need to schedule an intake appointment with your assigned advisor to begin the holistic advising process. You will have an advisor assigned to you after you complete Orientation or after your Orientation exemption is processed. Register for classes on myLCCC while you are meeting with your advisor at Orientation or in your initial advising appointment. Accept or reject financial aid through myLCCC. Not using financial aid, or is your balance larger than your accepted financial aid? You can pay in full on myLCCC or in person at the Cashier's Office in the Clay Pathfinder building (Cheyenne) or in the Administration office (Laramie), or enroll in the payment plan through myLCCC. Degree seeking students can earn an associate of applied science, associate of science, an associate of arts or a certificate. LCCC has 68 academic programs that lead to an associate degree and 24 career programs that offer certificates of completion. Learn more about the admissions process. Non-degree seeking students will be limited to six credits of enrollment per semester. Non-degree students are not eligible for financial aid. Please allow up to three business days for processing following the receipt of application and transcripts. If the class has a prerequisite, you must provide proof that you meet the prerequisite. Often for non-degree-seeking students, the prerequisite is a class you completed at another institution. If this is the case, you will need to provide that proof in the form of a transcript. Typically, an unofficial transcript can be used to meet this purpose, but you will need additional assistance registering. Contact%20the%20Student%20Hub for assistance when you have reached this step (be sure to email them from your myLCCC account). If you have not taken college-level courses before, you will need to provide other placement information to meet certain prerequisites. There are various ways that we can assess students' skill levels for placement. Register for classes online through myLCCC. Pay in full on myLCCC or in person at the Cashier's Office in the Clay Pathfinder building (Cheyenne) or in the Administration office (Laramie). Enroll in the payment plan through myLCCC. As a non-degree seeking student, you can take up to six credits a semester. Remember, you aren't eligible for financial aid. Learn more about the admissions process. If you have previously attended LCCC and you have taken a one-semester or more absence (not including summer), please fill out your application for admission online. Beginning with applications received for Spring 2018, non-degree-seeking students need only reapply after a two year break in enrollment. You will need to reapply for admissions if you have already previously attended LCCC and you have taken more than a semester absence (not including summer). International students transferring from other U.S. colleges also must complete the SEVIS Transfer Form (pdf), and be transferred to LCCC in SEVIS. Complete the immunization form (above). Complete the International Student Confidential Financial Statement. Every applicant to Laramie County Community College must have sufficient funds to meet his or her educational needs. The International Student Confidential Financial Statement form (pdf) must be included with the application for admission. 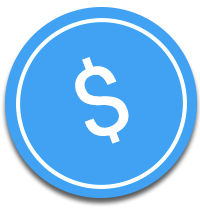 Provide an original bank letter showing cash availability and/or letter of sponsorship. No photocopies of financial verification documents will be accepted. The form must be completed with the student's and sponsor's signature. Send proof of English proficiency (TOEFL, IELTS). To be admitted to LCCC, you must have the following scores (or higher) on the Test of English as a Foreign Language (TOEFL): 500 (paper-based), 173 computer-based), IBT 61, ILETS 6.0. Official high school transcripts or certificate of completion from each secondary/high school must be attached to the application. If you have attended another college, you must have official transcripts sent to Laramie County Community College. All transcripts must be in English. If you are applying as an F1 International Student, you will need to apply and complete additional paperwork. Learn more about what's required. 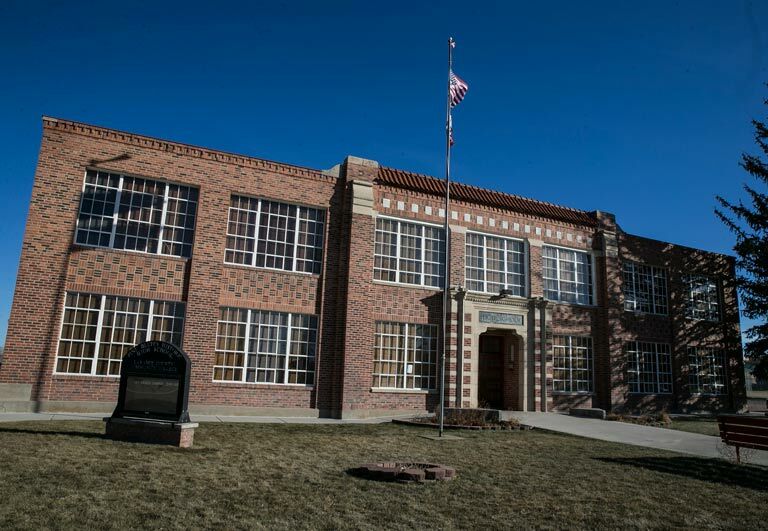 Laramie County Community College's main campus in the capitol city of Wyoming offers a variety of academic, career/technical and community education programs. The Albany County Campus (ACC) in Laramie offers many of the services and academic programs available through the main campus without traveling. 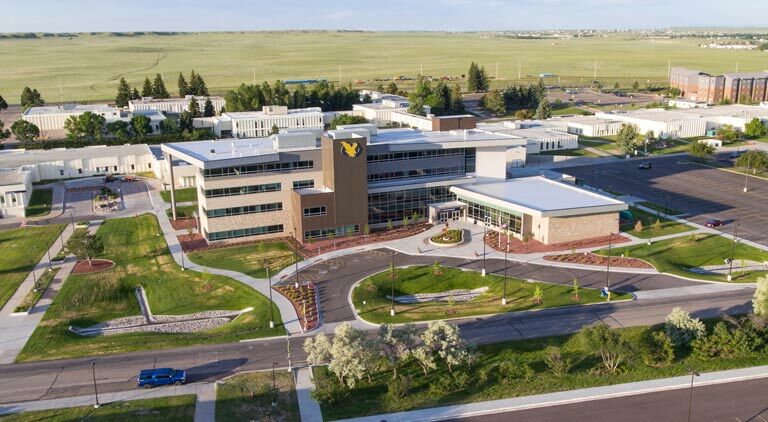 Located 10 minutes from the University of Wyoming, it makes transferring easy. Laramie County Community College at F.E. 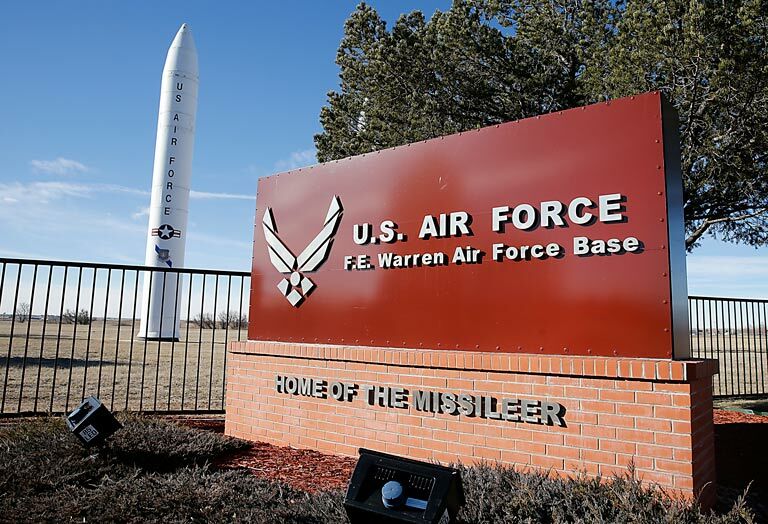 Warren Air Force Base is a partnership designed to provide all Department of Defense personnel (civilian, active and Guard), along with their family members, the opportunity to attain educational objectives and enhance their job skills training. The Eastern Laramie County Outreach Center in Pine Bluffs offers not only credit classes and continuing education, but also classes to improve your job skills and some that are just for fun. Need more flexibility? Explore LCCC's online learning options.